2 patties? What a score! I think the bigger question is......you consider mcdonalds as an acceptable place to get food from. It's only acceptable when you're overseas. Had McD's for the first time last year in Turkey lol. Same for Burger King. Don't know what they were thinking removing bacon from all the SA menus. Perhaps they were trying to copy Burger King. Since then it's all gone down hill. Something's not quite right about the meat. It haunts me. The ice-cream is still nice though. If this were Mcdonald's 90c app deal I'd be signing up really quickly. I remember some years back grabbing one for breakfast at the drive-through a Saturday morning before shopping. Don't know what they were thinking removing bacon from all the SA menus. We know who we have to think for that. In large swathes of London you cant find a pizza with ham or bacon on it. Once again, we know who we have to think for that,don't we. And we know who we have to thank for that. Thank Gd there are still someplaces who don't/refuseto be coerced by judicial councils or marketing. McDonald's SA is halaal? If so their boerie burger is not real boerewors. Is there a reason why they don't cater for the non halaal market too? As far as I can recall McDs in SA has always been Halaal so you got that a little backwards. Weren't there a change of owners? Cyril Ramaphosa used to own the McDonald's chain but he sold it in 2016 iirc. A few years back I was still buying bacon and egg breakfast muffins. They were my favourite on the menu, and I'm not going senile yet. Edit: Is Burger King halaal too? It must have been more than a few years ago. 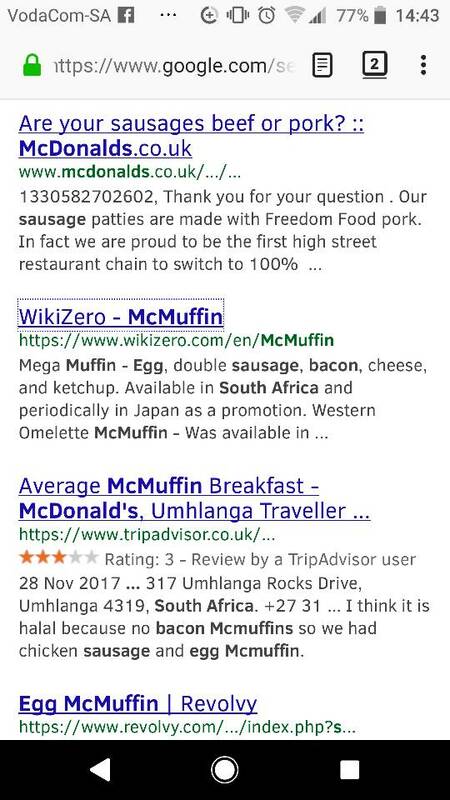 I did a quick google and McDs has had halaal status at all their stores since at least 2008. Regardless of the exact date they clearly predate BKs decision to also be 100% halaal when they first opened in SA back in 2013. You could be right about the number of years. It didn’t seem that long ago. Strange that both franchises cater for halaal only when majority consumers are non Muslim. 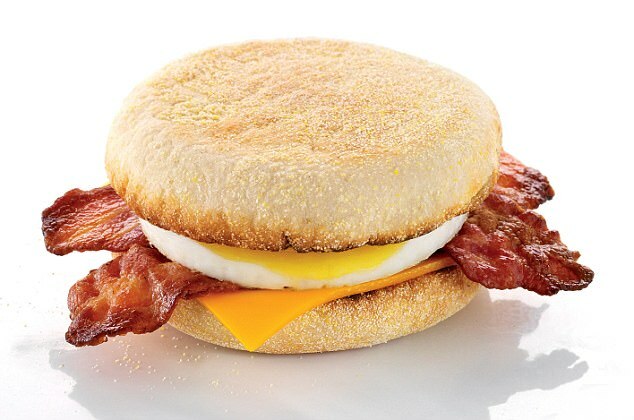 Lol ...there never was bacon or ham in any of the MacDonald SA menu items. Your senses were duped man. It was turkey slices in those mcmuffins. It's a numbers game. They gain more potential customers by being halaal. Turkey slices that look and taste like bacon, interesting. Probably trying to make up for the ones they lose. So many complaints about the food quality, especially Burger King. After seeing the pic of the burgers posted by that mom on Twitter it put me off from ever buying from them. Turkey slices that look and taste like bacon, interesting.Probably trying to make up for the ones they lose. So many complaints about the food quality, especially Burger King. After seeing the pic of the burgers posted by that mom on Twitter it put me off from ever buying from them. I'll find out if any of my friends remember buying from the branch at Alberton Crossing. You have successfully been upgraded to "grand epic FAIL"
I would really like to know who we have to thank for that. You obviously know they mean Muslims. Not high, hangovers. My friends remember and so does my husband. It was good hangover food. I'm not the one with a bad memory. Edit: Actually it's still in the cache for the WikiZero website.